Ivan Aivazovsky (July 29, 1817 – May 5, 1900) was a Russian artist of Armenian descent born in Feodosiya who lived and worked in Crimea (Russian Empire). His family moved to the Crimea from Galicia (then in southern Poland, now in Ukraine) in 1812. In Poland the family name was Aivazian. His talent as an artist earned him a scholarship that allowed him to enroll in the Simferopol Gymnasium and later to enter Saint Petersburg Academy of Arts. 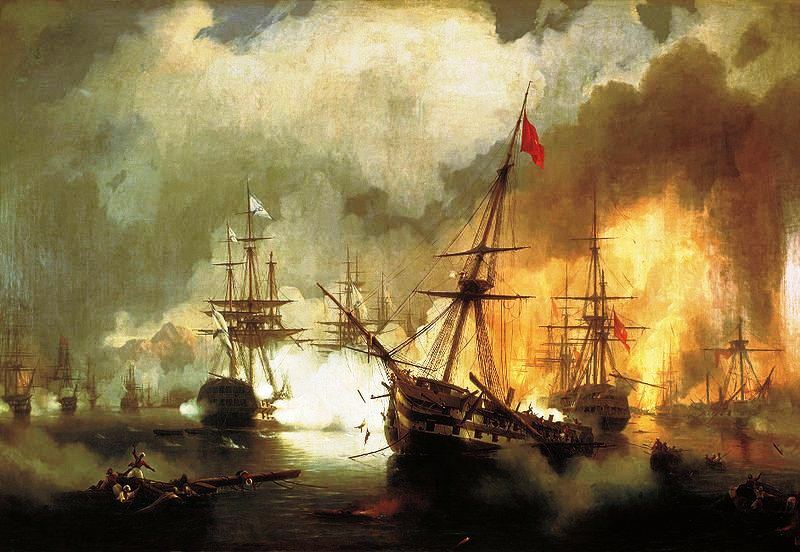 As for his talent as a seascape artist, it earned him a long-standing commission from the Russian Navy stationed in the Black Sea. As of 1845, he travelled to İstanbul eight times upon the invitation of Sultan Abdülmecid I. He was court painter and as a result of his stays in Istanbul, some of his paintings acquired a certain Orientalism. Artist Aivozovsky married twice, first to an Englishwoman, until 1865, and second to an Armenian woman from Feodosiya. Aivazovsky spent his last years in Feodosiya (also called Theodosia) where he supplied the town with water from his estate, opened an art school, a historical museum and was otherwise generous. Aivasovsky died in Feodosiya in 1900. 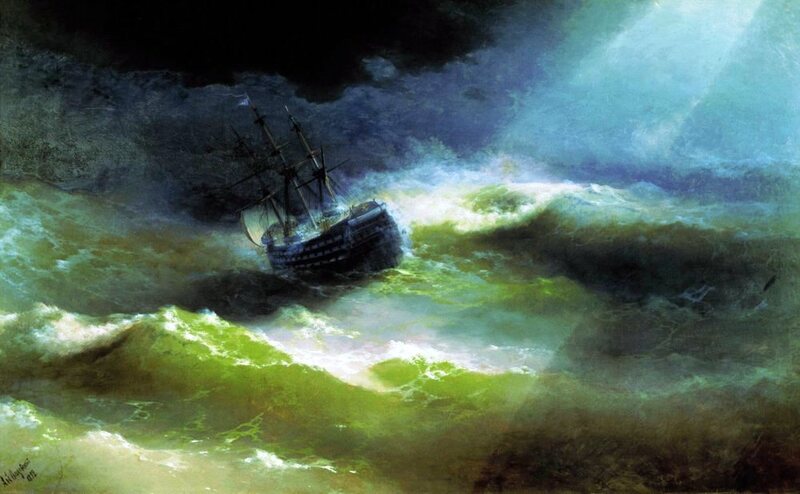 Aivazovsky was very successful. He was an Academician at 27, and Professor of Marine Painting at the Academy of Fine Arts, St. Petersburg, at the age of 30. 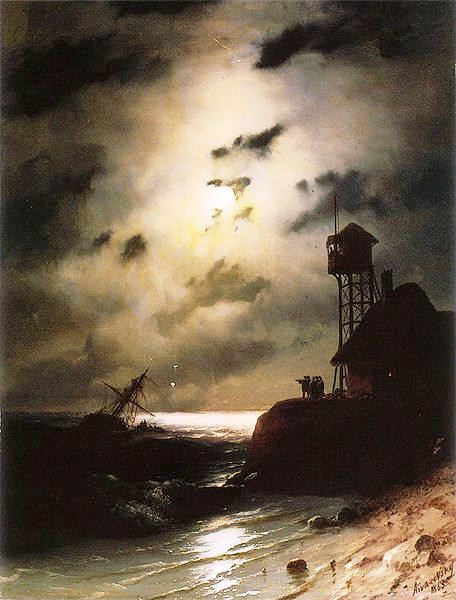 According to Wikipedia, Aivazovsky is considered one of the best seascape artists of all times. J. M. W. Turner wrote a poem about him.